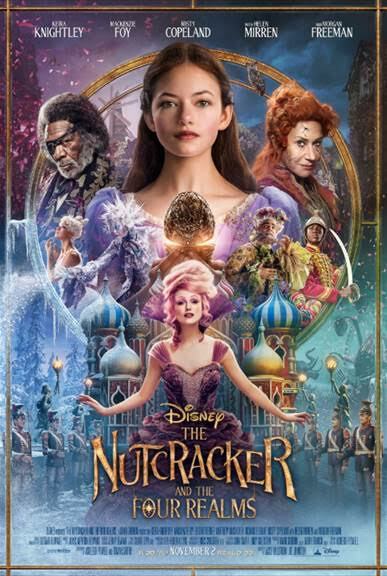 Disney has just released the new poster and trailer for the 2018 holiday feature film The Nutcracker And The Four Realms . Based on E.T.A. Hoffmann ’s classic tale and “The Nutcracker ,” “The Nutcracker and the Four Realms ” showcases the wondrous journey of Clara, who finds herself in the mystical world of the Four Realms, home to a host of eccentric characters and no shortage of surprises.